Welcome to our blog hop if you arrived here from Creating with Kara's blog you are in the right place. If you arrived here by chance I hope you see something you like and you can continue the hop by clicking on the link at the end of this post. 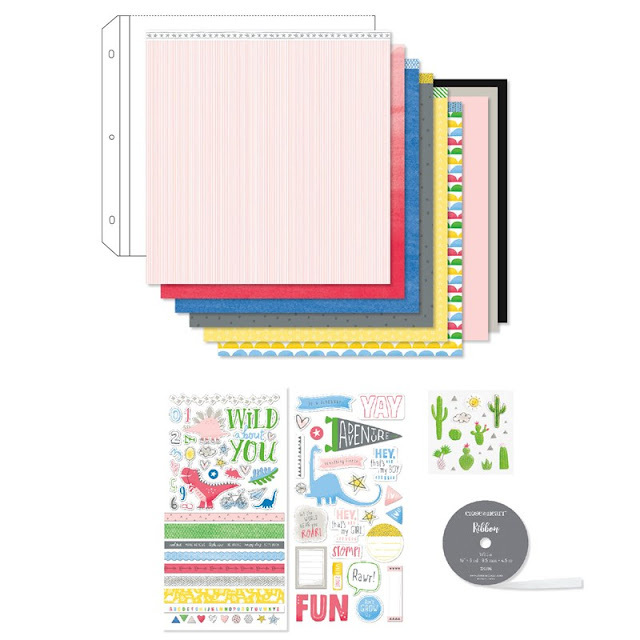 The Something Fierce collection is so much fun, at first glance it looks like you would mostly use it for kids projects but the papers are so pretty you can use it for all sorts of projects. I decided to use one of the PML cards to make a birthday card, these really make quick and easy cards. To make the dinosaur stand out more I used the same dinosaur sticker as on the card, I adhered it with the 3D Foam Tape. The sticker border adds another pop of blue colour. Any child would love to receive this fun card, we know everyone loves a skating dinosaur. For my layout I have used three of the papers and some of the Zip strips and for decoration I have added a number of different sized thin cut hearts. I stamped Mothers Day in versa mark ink on the blue paper, then clear embossed it and fussy cut the letters.There is a great special on Alphabet stamps this month. One of my goals for 2019 is to use up my stash of CTMH discontinued products, I really do have way to much stuff. So for this project I have used the black and white paper and created an envelope to hold a gift. The envelope is 4.5" x 4.5", it is large enough to hold all sorts of treats. To decorate I have used a number of different products. These beautiful ribbon roses were a cream colour but using the inks they can be dyed any colour, the leaves were some of the first items I bought when I became a CTMH consultant. I have layered the white cotton ribbon which comes in the kit on top of the peacock ribbon and this acts like a belly band to keep the envelope closed. A small gem flourish is a lovely decoration. All that was needed was a sentiment. Thanks again for stopping by to continue, hop along to Shaunna's Passionate About Pages, and see what great project she has to share. Please take a moment and leave a comment we all really appreciate them. Everyone truly does love a skating dinosaur Doris! Your projects are gorgeous - love the hearts cut from this paper set. Thanks Shaunna, I did enjoy creating this layout. Thanks Kara, working with this collection was a lot of fun. Absolutely wonderful projects! And the best wishes project, you turned Something Fierce into something elegant! Thank you Andrea for taking the time to leave a comment. My first thought about this collection was kids projects but really the sky's the limit. What beautiful projects- I especially love your layout! Thanks Lauren, I really like how colourful it is. Your work always makes me want to use my cricut more for titles! That Mother's Day layout is superb! Thanks Nell, yes I love the Cricut for titles. 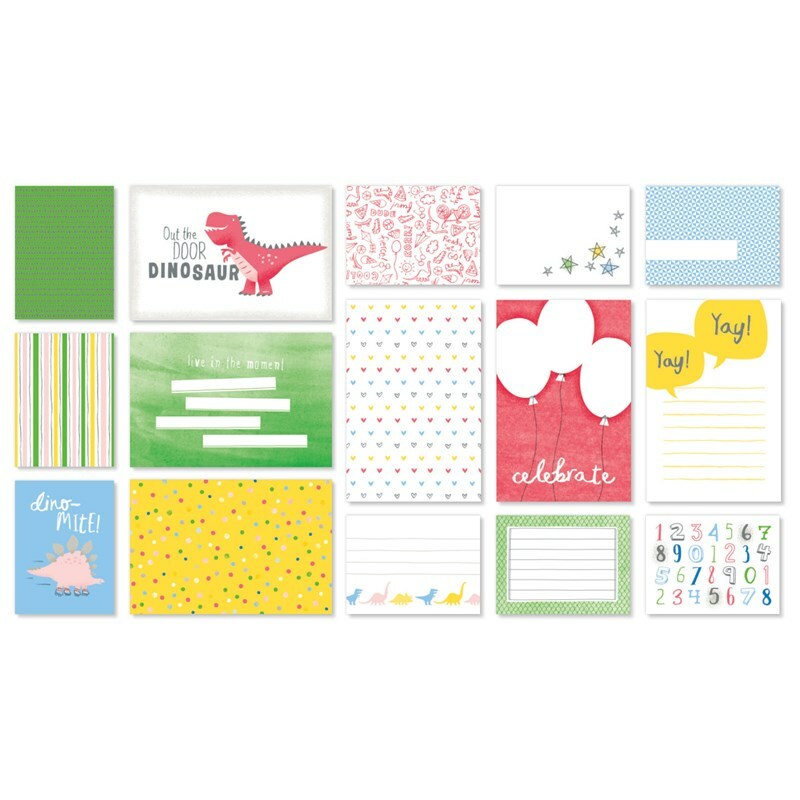 January Stamp of the Month "Card Captions"